Anemones are in the same phylum, Anthozoa, as corals. Their basic commonality is that they are so primitive that they only have one hole. They both eat with their but and throw up poop Unlike corals, which are generally colonial, anemones are usually solitary. They live a long time and can survive on very little. Some have stinging cells that can penetrate the skin, therefore you can feel a sting, others do not. Many have color derived from the algae that lives with the anemone in a symbiotic relationship. 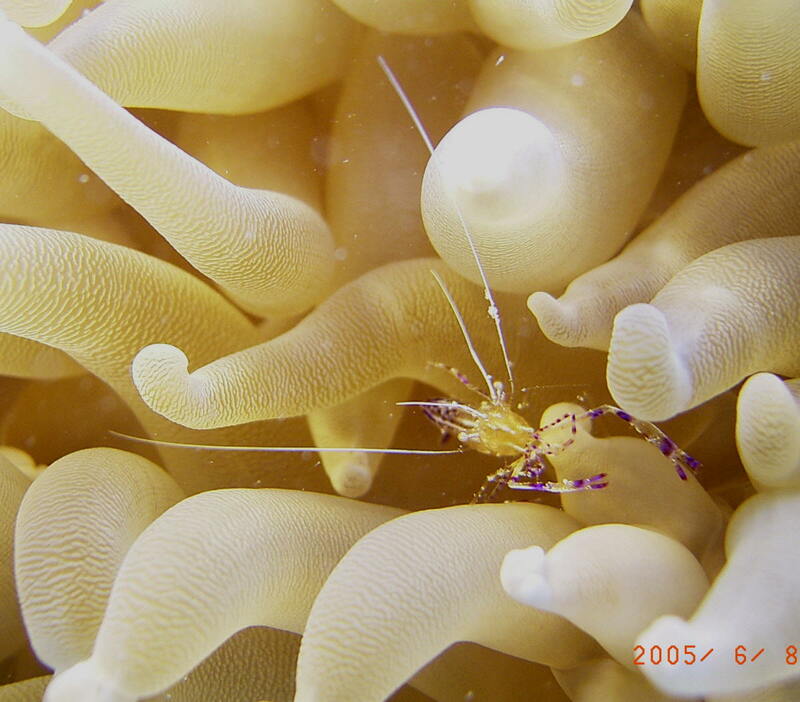 There are also shrimp, crabs and, not here, fish that live in a symbiotic arrangement with the anemone. We give our pink tipped anemone a shred of squid so we can see him pull it inside-live, slow motion action.